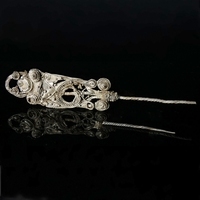 Silver Merovingian Frankish radiate-headed brooch with chip-carved decorations (Kerbschnitt). 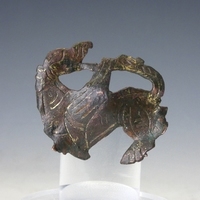 Semi-circular head-plate with five profiled knobs, decorated bow leading to elongated and stylized animal head. Pin is missing.